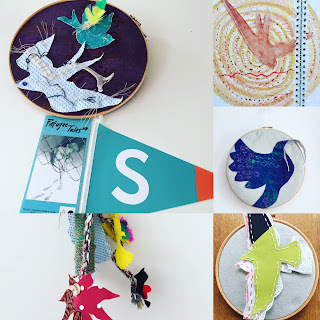 Some thoughts on walking, weaving and how we share stories. 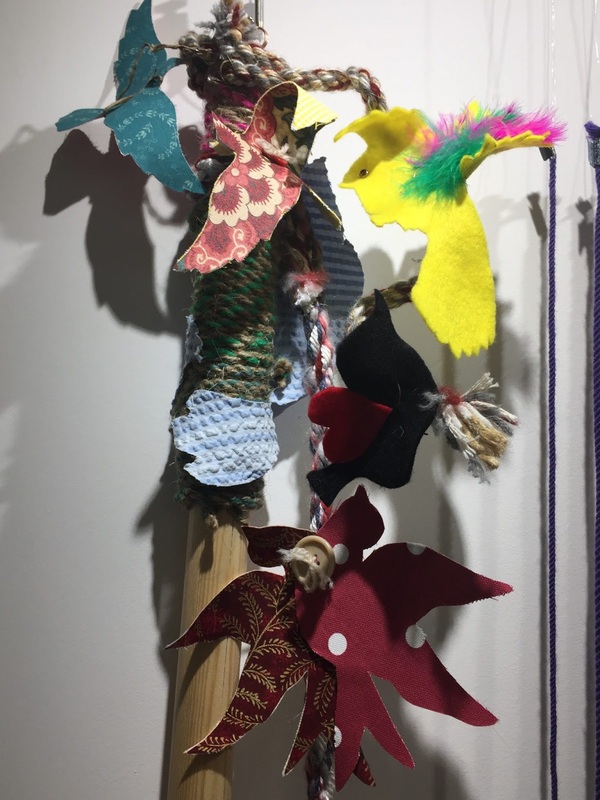 Each of the textile birds that will be displayed in my Tankerton studio on June 9th as a part of the Whitstable Biennale Satellite program has been made in a collaborative effort at several venues. The bird cutting and making began in February of this year to highlight the walk in July by The Refugee Tales and the campaign by the Gatwick Detainees Welfare group, #time4atimelimit. 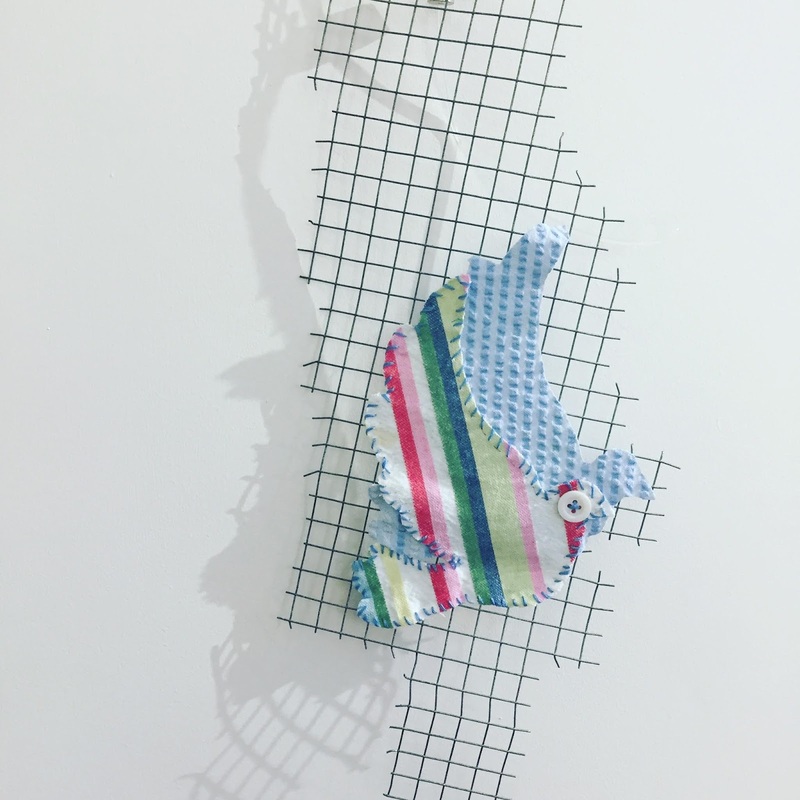 The scope of the work includes printing material, making ropes, cutting birds, sewing and embroidering. 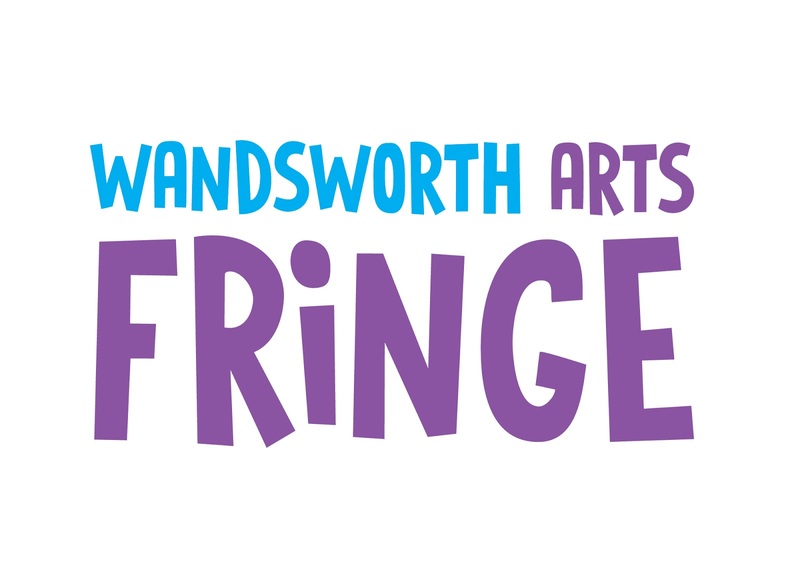 From locations as wide as Edinburgh, Nottingham, Shepherds Bush, Putney, Tooting, Wandsworth, Whitstable, Broadstairs, Margate, Cliftonville, Wimbledon, Gatwick, Sussex and Canterbury. You can now join us at the Whitstable Satellite on June 9th from 1 pm to view a small exhibition of the work at my studio in Tankerton. If you wish, you can then take part in a rope making workshop followed by a walk. Through this photo diary, and by reflecting on some of the recent events over the last couple of weeks, I will attempt to explain how the walking, the weaving and the storytelling are interconnected. 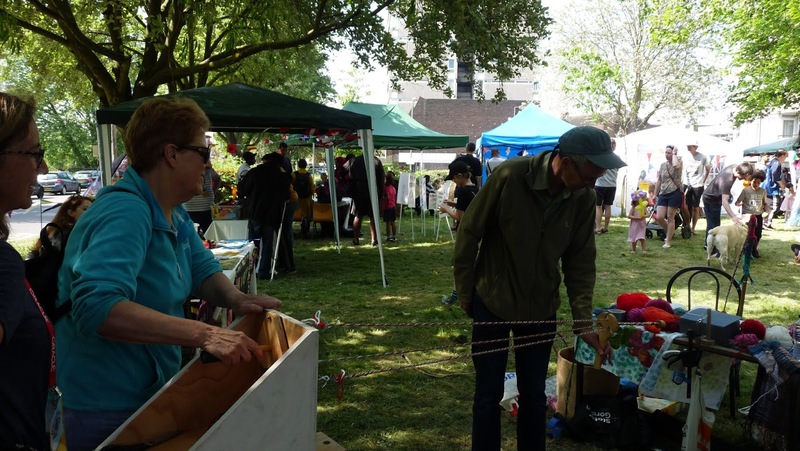 Hazelfest is a community festival organised by The Work and Play Scrapstore at the Hazelhurst Estate in Wandsworth. We made rope, celebrating all that binds us together through Thread and Word . This gave us the opportunity to meet each other and invite collaboration. 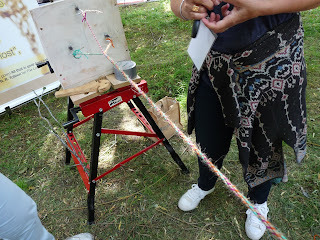 As we made the rope , rope making as in most weaving takes a little time to set up, we talked. We talked about the things that bind us together and in particular how we find strength in working together. 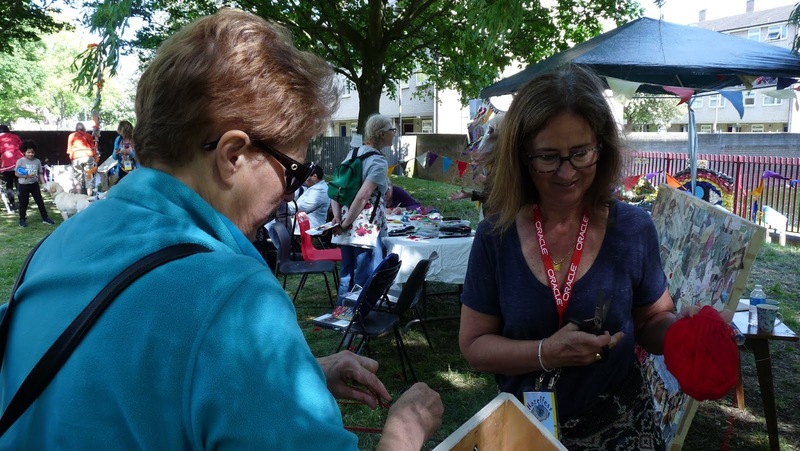 It was also a useful tool to discuss and highlight the work by the Gatwick Detainees Welfare Group and their walk in July, RefugeeTales. This walk enables the accounts of those who have experienced detention the UK to be heard through an annual walk over three days. 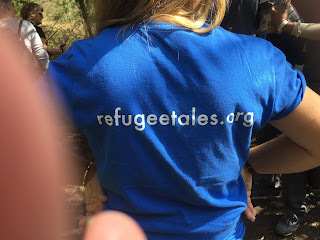 In the evenings Refugees are invited to share their tales. The project takes inspiration form ‘The Canterbury Tales. The Refugee Tales are published by Coma Press. For out project, the weaving of ropes allows us to explore combinations of different materials most of which have been donated. I feel this is important as they contain the memory of touch and have been passed from hand to hand. 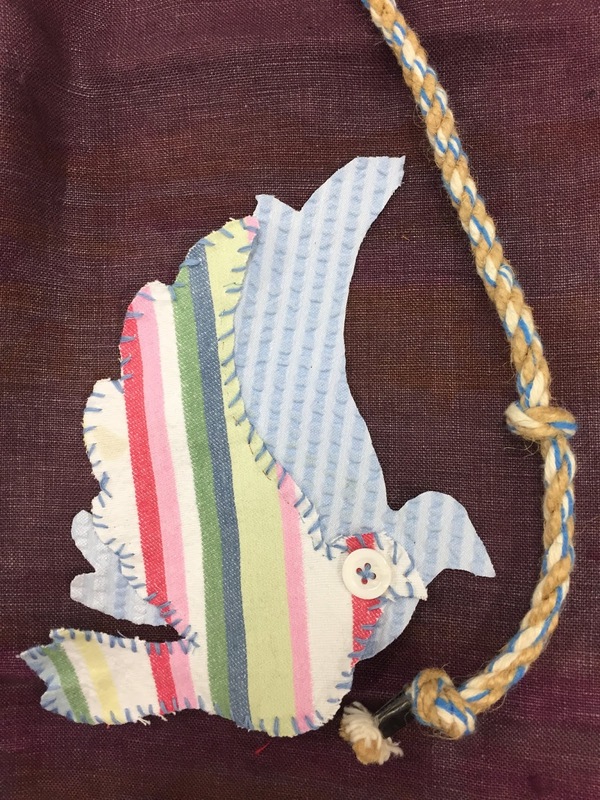 The twines and threads we use have their own memory as we find out by coiling the strands together. and watching the furling and unfurling. 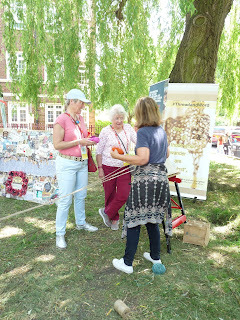 Ropes and knots enable us to think about language and how emotions and memory are connected to ropes and knotting. We will for example ,sometimes refer to having a knot in our stomach to describe being nervous or tense. 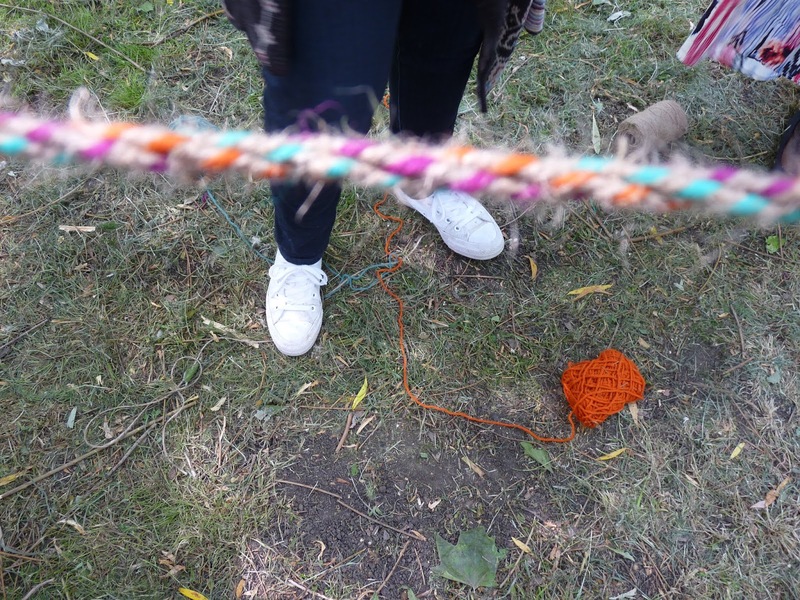 As we weave these ropes we are also creating a textile language to share our stories. 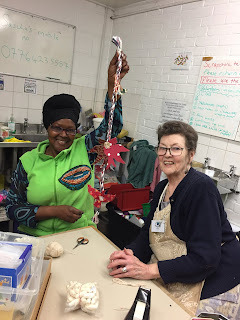 The rope making at Hazelfest was followed by a workshop on Tuesday May 22nd at The Work and Play Scrapstore where the lovely volunteers spent time stitching birds and ,again, talking about the “Windrush”generation, the work of the Gatwick Detainee Welfare group and Refugee Tales. We also took this opportunity to play with ideas of how to display the embroidered birds. 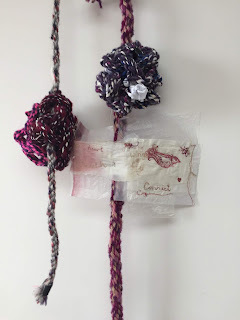 One idea seen below is to use the hand made ropes . 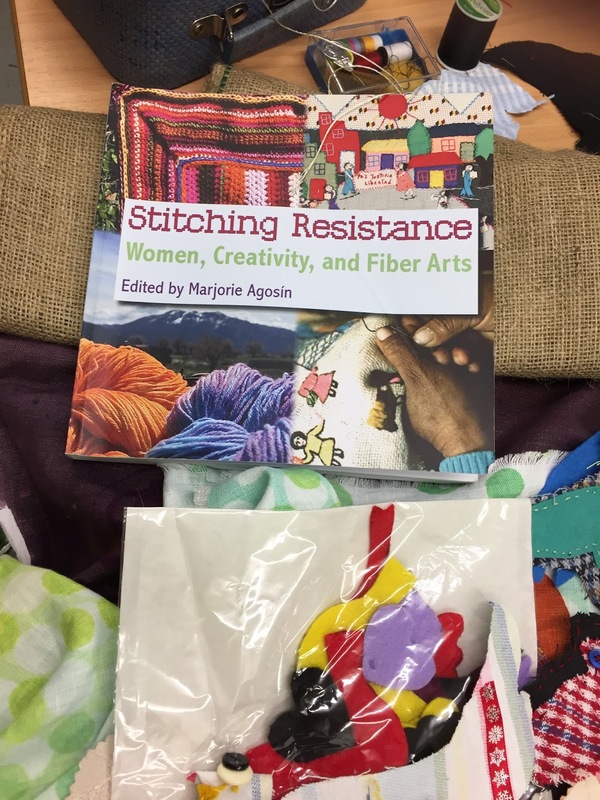 Our display takes its inspiration from many sources including the book Stitching Resistance. I am finding weaving a useful tool to consider how we present our work and our stories. 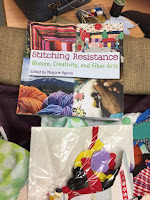 As a result I have decided to title this exhibition: Weaving Resistance. from 1 pm, on June 9th 66 Marine Parade Tankerton. 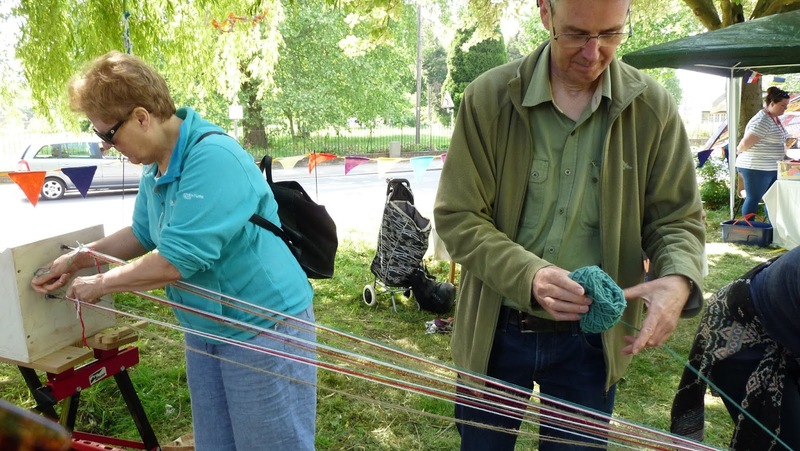 Tim Ingold in his book ‘Lines’ explains the connections between weaving, and storytelling. 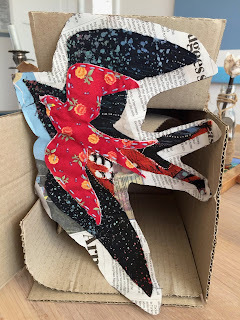 “Just as the weaver’s shuttle moves back and forth as it lays down the weft, so the writer’s pen moves up and down, leaving a trail of ink behind it. But this trail, the letter-line, is no more the same as the line of text than is the line on a tapestry the same as the lines of its constituent threads. 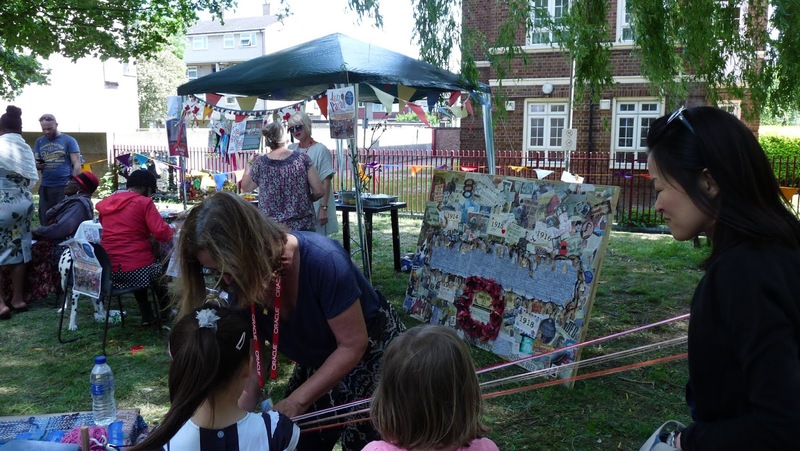 As with the woven tapestry, when we look for the text-line we do not find it. It exists neither as a visible trace nor as a thread. Rather, it emerges ... “ (Ingold 2007a: 69-70). 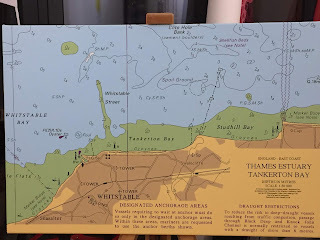 And so our stories are emerging slowly through talking and making to be shown at the the exhibition of works in my Tankerton Studio as part of The Whitstable Biennale Satellite Program. 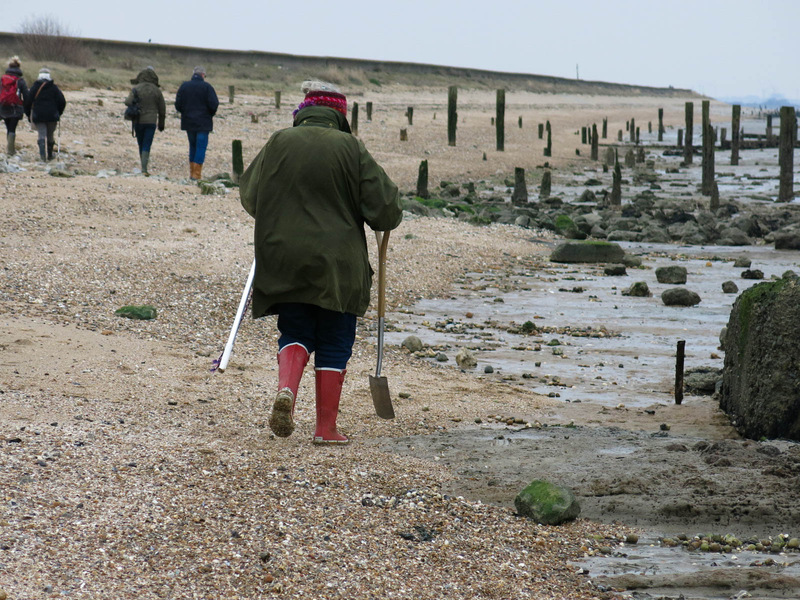 3.18 pm, low tide, meet outside my Tankerton studio . 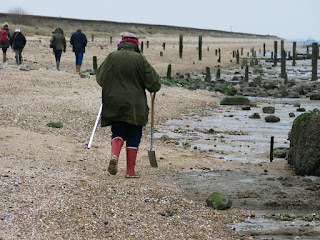 The walk we will be taking along the Estuary at low tide will follow on from the exhibition “Weaving Resistance”. It will start at 3.18 pm, which is low tide, from outside my studio facing Tankerton Slopes. This walk also takes its inspiration from Tim Ingold . Our walk will be “wayfaring” rather than following a point from A to B we will drift, creating a meshwork of routes. Before starting the walk we will be weaving ropes in my studio. 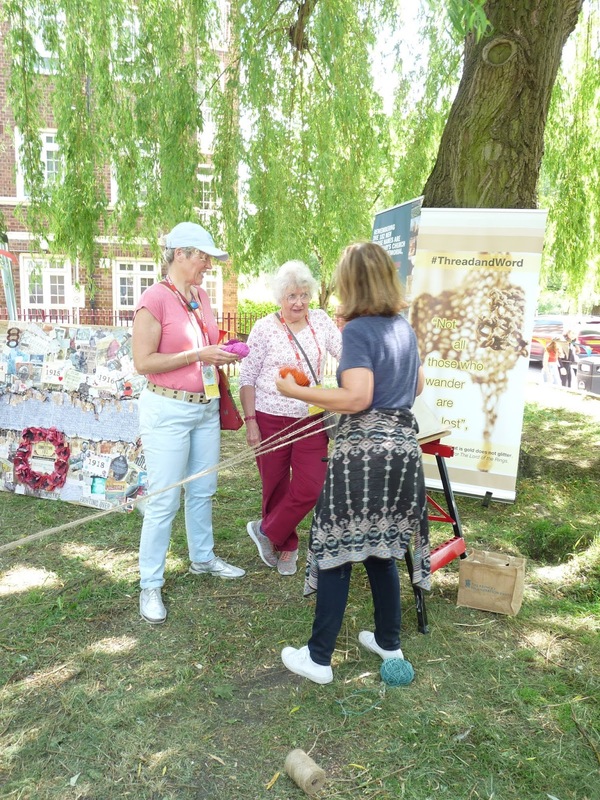 These ropes will become part of our walk both as impediment and also as memory aids to record our thoughts through knots in the ropes as we walk . Through various obstacles which we will use to disrupt a linear trajectory we will explore displacement disorientation and the difficulties of negotiating a complex world. We will use different tools to create a challenging environment. One for example will be to take instructions designed for a different space and attempting to execute these in the liminal space left as the water recedes. We will also be playing with concepts of time, by using our own system devised for measuring the length of time we have been walking. 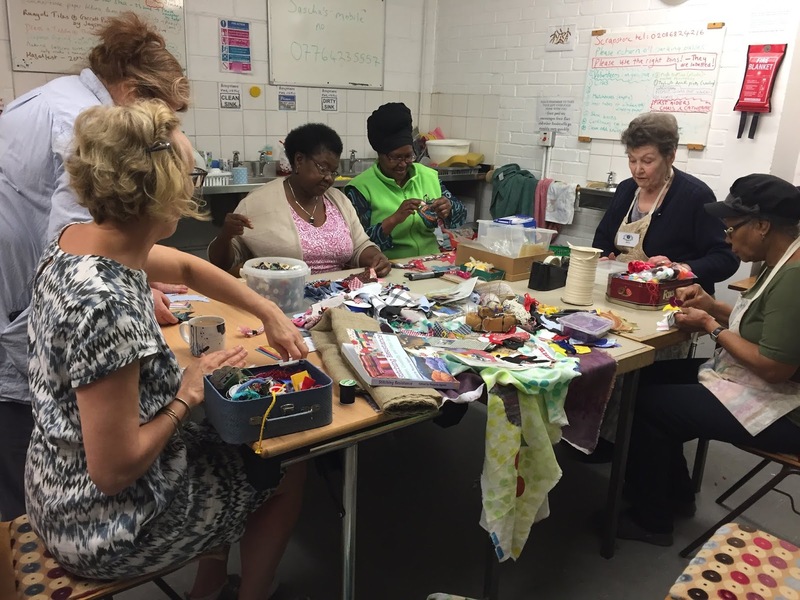 With thanks to Rita Pagnoni Kate Monson Jennifer Deakin The Garden Gate Project Wandsworth Arts Fringe Putney Pantry The Work and Play Scrapstore #Hazelfest Janet Gilbert Nicola Weir Helen Read Maggy Rodd Cath Mattos Debbie Jackson Myra Vasdekys, Elainna Arkeool, and all who have participated and supported sewing, talking and rope making. 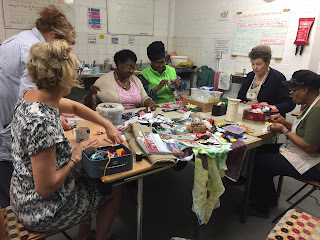 I’d also like to say thank you for supporting me in raising awareness of the campaign by The Gatwick Detainees Welfare Group and for coming on this journey with me exploring the connections between weaving, walking and writing. Looking forward to June the 9th.